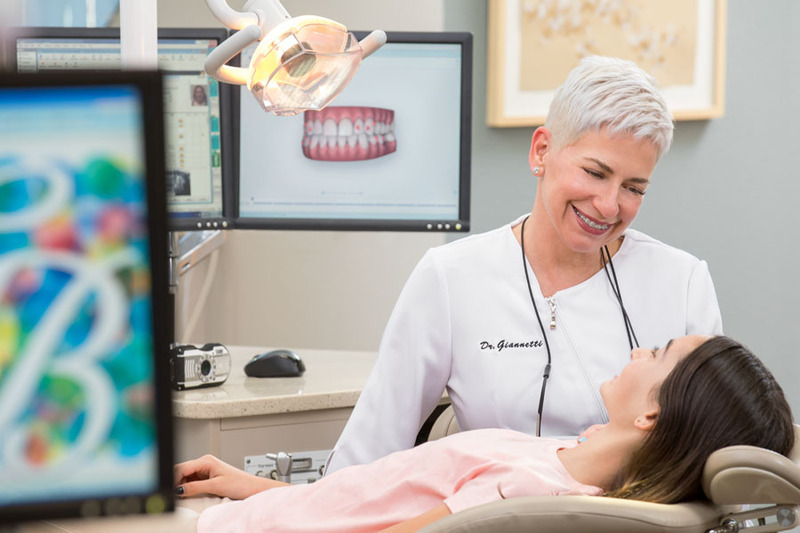 “When am I getting my braces off?” This is perhaps the most common question I get in my office. I know that patients are eager to get to the finish line. After all, they’re excited to see the final results and show off their beautiful new smiles. But it’s hard for the orthodontist to answer that question with an exact date. The amount of time a patient will wear braces can be estimated based on our previous experience. As professionals, we use years of experience with various cases to predict how new cases will unfold. While we give patients a goal for completion, the reality is that the actual amount of time can be more or less than we estimate. Because as humans we’re complex biological creatures, there are many variables that affect the amount of time patients spend in braces. What are the factors that affect the length of orthodontic treatment? • Coming to all appointments: this is the most important factor. Missing or delaying appointments will likely extend treatment time. • Keeping teeth clean: plaque causes inflammation, which is “the root of all evil” and inhibits optimal tooth movement. • Wearing the auxiliaries as instructed is of utmost importance, such as rubber bands. (for example, rubber bands) according to instructions is of utmost importance. • The complexity of the treatment: more complicated treatment means longer treatment time. • A patient’s overall health. For example, smoking and underlying systemic health problems such as diabetes can lengthen treatment time and can even cause less ideal results. • Individual biology is a factor, too. Some people respond to treatment more easily than others. Why did I reach my goal date and still have to wear braces? As mentioned above, a variety of factors can affect the length of treatment, but the most common issues we see are broken brackets, missed appointments, and inconsistent wear of rubber bands. If a patient reaches their end goal date but all problems have not been corrected through the treatment, the patient can choose to continue treatment to reach the final goal or, if the patient is satisfied with the result, he or she can choose to end treatment at that point. What is your office doing to maximize minimize treatment time? As we can see, the average treatment time varies on a case by case basis. In the United States, the average amount of treatment time in braces is 30 months, or 2.5 years. At our office, the average time is just 22 months. We pride ourselves on being forward thinking. Through the use of the latest technology and innovative practices, we get better results without extractions. We use Damon braces, which lessen pain discomfort and decrease treatment time. We also offer accelerated options for those who want to speed up treatment even more. So if you want to minimize your treatment time and maximize your results, you can do so with good compliance and we guarantee you will LOVE your smile!